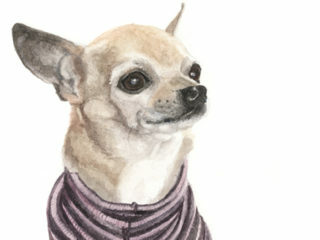 Using ink and watercolour, I create unique portraits of your beautiful dog. Working primarily from photographs, I strive to capture the special quality that makes each individual who they are. This can be found in the particular way they sit, or tilt their head and how they hold your gaze. 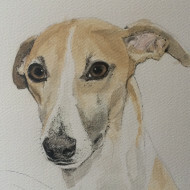 I find myself falling for each dog I paint and have been known to talk to them as the picture develops.... 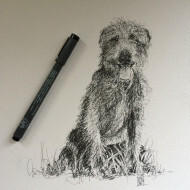 I hope you enjoy having a look at some of the lovely dogs I've worked with and please do get in touch with any questions. What people have said about Bow Wow! © 2016 BOW.WOW.SKETCH All Rights Reserved.